Say farewell to frantically searching for confirmation e-mails in your inbox--or worse yet, hunting down that pesky manila folder. TripIt is an easier way to organize and share travel information. Juggling plane tickets, car rentals, train schedules, and hotel reservations while traveling can be logistically challenging, to say the least. With the TripIt Travel App for Android, you can keep all your plans in one convenient place so you can keep your peace of mind. TripIt "automagically" creates a single itinerary from all your trip details. Access your TripIt itinerary on your smartphone or tablet when and where you need it. When you book a travel reservation, simply forward your confirmation e-mail to plans@tripit.com. TripIt instantly recognizes reservations from more than 3,000 booking sites including cruises, restaurants, concerts, and much more. 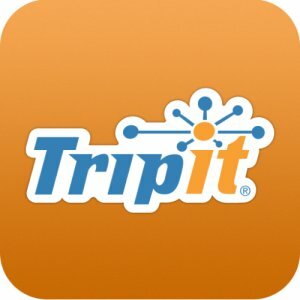 Best of all, you can easily sync your TripIt itinerary with your calendar and online at tripit.com. You can also share trip plans with family or colleagues directly, or let Facebook and LinkedIn contacts know where you're headed and when you'll be there.